In terms of popularity, wasps sit somewhere between house centipedes and mosquitos in regards to universal desire for their demise — so the prospect that they can identify faces is pretty horrifying. 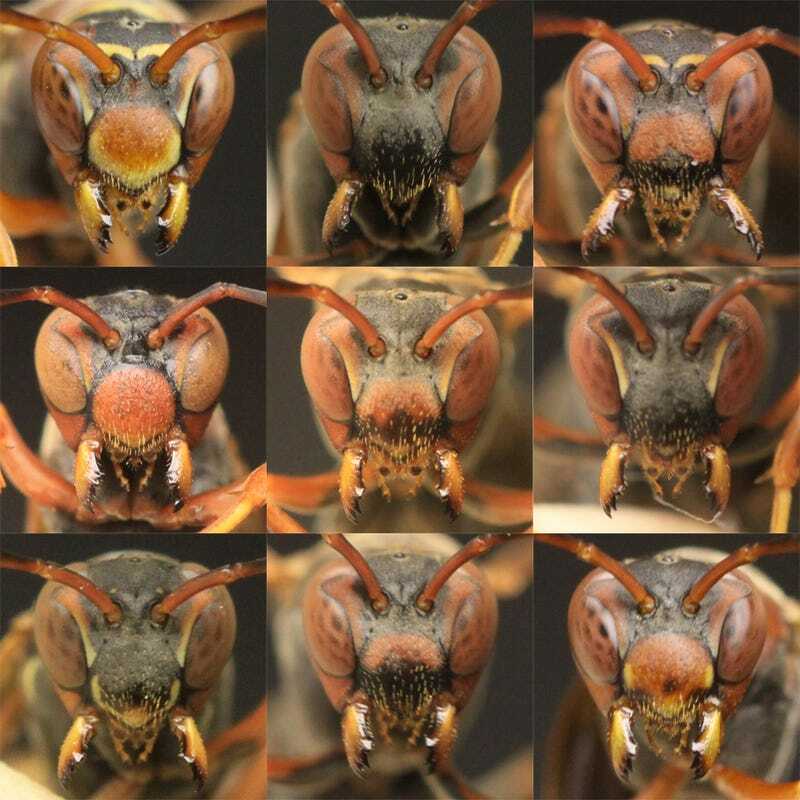 According to new research, certain species of wasp can tell one another apart based on faces, which only convinces me further that they can recognize me at a distance, and plan their attacks on me personally. Polistes fuscatus, the paper wasp, lives in communal colonies with multiple queens, and thus have evolved the ability to recognize and identify wasps based on their faces — which they can do faster and more accurately than with other shapes and colors. This skill isn't found in the closely related but comparatively solitary Polistes metricus, who have only a single queen, and are much slower to learn to identify individual faces. Since this recognition doesn't seem to be available to all wasps, it's an excellent example of convergent evolution — after all, it's something humans do too, even though our eyes and brains are completely different to theirs.